New-generation HRO: a reverse maturity curve? We've certainly had a full dose of the "How can HR Outsourcing find its rhythm" discussions over the years, and the consistent theme has been one of reducing operational complexity and increasing the focus on the retained HR organization, to help companies actually add some value to their HR operations throughout the whole outsourcing experience. We sent our HRO diva, Mindy Blodgett, out to investigate where some of the leading minds are focusing in this post-recession environment, and her first port of call was with Erica Volini, one of Deloitte Consulting's leading Principals in the HR transformation field. Erica Volini has been working with HR on the elusive goal of HR transformation for 12 years, with a particular focus on HRO for the past eight. She has therefore had a privileged perch and a decidedly insider’s view from which to assess HR’s struggles with outsourcing and other solutions – and she knows what works, and what doesn’t, when implementing HRO. When not advising organizations on their HR journeys, Erica loves to explore her home base of New York City. She also professes to loving 80’s music and secretly admits to being fascinated with the latest entertainment news. She took a break from her grande, skim caramel macchiato to chat with us about the direction she sees HRO going in today. Mindy Blodgett: How is it that you are working with HR organizations today? Erica Volini :My focus has been on helping organizations figure out how to take HRO and get it up and running. This is no easy task. When I first started, multi-process HRO was all about “big bang” and people viewed implementing everything all at once as the right answer. Now, buyers are starting to understand how complex it is and everyone is trying to figure out how to simplify in the hopes of increasing success. In that way, HRO has almost followed a reverse maturity curve. Mindy Blodgett: We’ve heard so much about HR transformation as a goal of HRO – but that concept seems tired and overused. What is your view of whether HRO can achieve true organizational transformation? Erica Volini: When HRO first came along, it was viewed as THE answer to transformation. We all realize now that outsourcing is only an enabler of transformation and that it takes a lot more than HRO to truly transform. Organizations need to start looking at HRO as a way to increase operational efficiency and organizational credibility. Then they need to leverage that credibility to drive transformation. And they can’t forget the retained HR organization. If the focus is only on the provider, and what the provider brings, transformation will never be achieved. Mindy Blodgett: What is wrong with the way some organizations approach HRO? Erica Volini: It comes down to too many organizations taking a vertical, silo-ed approach. A typical HRO contract is set up in silos – so the benefits team is defining one set of services while the recruiting team is doing another. The problem comes in when trying to drive integration among them. Unless they start looking across the silos, it’s hard to see how services and activities need to connect. Without finding ways to embed that interconnectivity into the HR solution, it will always fall short. HRO providers have the capability to look across processes – but the challenge is taking that integration capability and turning it into a set of services that providers can offer and organizations can measure. Mindy Blodgett: How are the providers positioned to provide these integration services? Mindy Blodgett: Why is focusing on integration so important for organizations engaging in HRO? Erica Volini: Because providers can’t deliver services in a vacuum. If their services aren’t integrated across the end-to-end process and if they aren’t working hand-in-hand with retained HR, they will always fall short of delivering what the organization needs and expects. If you look at the typical HRO challenges, integration is usually the issue. Retained HR can’t be strategic because they’re left filling the administrative gaps in the delivery of services (such as end-to-end process integration, data clean-up, workflow routing); SLAs fall short because providers don’t have the accountability for the hand-offs between processes which is where the majority of operations-related issues lie; and customers are unhappy because they get bounced around when trying to get their questions answered. Each one of these issues points to a lack of integration, so if we don’t fix the integration issue, I’m not sure how HRO can succeed. As we shift from the one-provider-does-everything model to best-of-breed, integration becomes even more important. While a best-of-breed approach can offer customers the best individual solutions, it creates an even greater need for integration amongst them. You can’t just tell your providers, hey, please go and integrate with each other. But when you turn the concept of integration into a service that providers can sell and organizations can buy, you’re on your way to making it work. Mindy Blodgett: What do you foresee as an answer to this integration challenge in HRO implementations? Erica Volini: The new world of HRO will emphasize customization – not in terms of processes (which has been the focus in the past) - but in terms of which solutions and providers can be pulled together to form a comprehensive HRO solution that can best meet the buyers’ needs. That means changes for both buyers and providers. Buyers need to figure out what capabilities they need and communicate that effectively to the provider community. And HR needs to engage the full organization to figure out what those needs are. Finance, IT, Legal, Procurement, business leaders – they all have a role to play in making integration happen. Providers will need to think more out-of-the-box in terms of what they offer and how they partner with other providers to create an integrated HRO solution. Consider payroll as a prime example. While very few providers have the capability to do global payroll by themselves, many have figured out how to partner with other providers to offer it as an integrated service. Best-of-breed doesn’t always mean that the buyer needs to be the glue holding it all together. And finally, the buyers and providers need to work together to form an integrated approach to implementing HRO. We need to stop thinking about HRO as the implementation of a provider solution and start thinking about it as a way to embed the provider into the broader service delivery model. It may sound overly simplified, but if we want to make HRO succeed moving forward, integration is key. Mindy Blodgett: Thanks so much for your time, Erica, am sure our readers will enjoy reading this discussion. 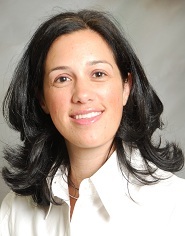 Erica Volini(Pictured) is Principal in Deloitte Consulting's Human Capital Practice. You can read her full bio by clicking here. "As we shift from the one-provider-does-everything model to best-of-breed, integration becomes even more important. While a best-of-breed approach can offer customers the best individual solutions, it creates an even greater need for integration amongst them"
This was an interesting interview. So are you saying that many of the earlier HR BPO customers are now doing a better job of integrating together HR funtions, or it's really the more recent engagements? Thank you for your feedback. In response to your question, I think the early adopters of HRO have worked on integration because - frankly - they needed to fix it in order to make their HRO solutions work. So, it's almost out of necessity. The message here for the early adopters is that if they bake it into their HRO plans now, they can not only avoid the scramble at go-live to take care of it, but enhance what their getting from the providers in the beginning. Caring for it at the back-end is definitely not the right answer when it comes to integration, so it's about getting buyers to recognize the opportunity before they finalize the deal. Thanks for your comment. I completely agree with using HRO as a change agent. Most organizations don't think about it that way, but the truth is - because these contracts are so large and because HRO is so visible, it really represents a great foundation and reason for HR to get the other functions involved and set the agenda for how HR needs to be integrated across the organization. It's what HR is looking to achieve in terms of being "strategic", it's just about helping HR to really see and capitalize on the opportunity in front of them to use HRO to do it. You're right -- HRO cannot be truly "end-to-end" because the providers will never be able to own every step and every activity that impacts a process. The retained HR function will continue to play a key role in completing the process; those steps and activities may be "strategic", but they still need to be done. So the question almost becomes a bit of "pay me now or pay me later" in terms of when to bring the integration in. And, it's not just about hard dollar cost. Often times, the cost of not doing integration right in terms of HR's credibility is greater in terms of impact than the dollars that could be spent up front getting integration nailed down before the go-live. Excellent interview! The point that an HRO is a driver of increased operational efficiency and organziational credibility is a strong one. Organizations that understand this at the outset are forced to balance their efforts between the HRO, the retained organization and the other key stakeholders and business leaders. Recently we have been awarded the best enterprise in our business category. My organization has the best work-flow designs, best automation tools, adopts the cutting edge technologies in project management and won the admiration of who's who in our industry. I felt their expertise could be levereged to integrate our own HR processes like recruitment solutions, benefits management employee services,etc. But my colleagues in the industry seem to differ with my views, they say IT 's standards drop when it comes to catering to non-client sevices/internal needs. Do you believe there is a downside to entrusting your own ITteam to help with the integration rather than relying on the expert outside? It's a great question. For me, it doesn't come down to internal or external support (either can be successful). I think the barrier for IT is the perception that if IT drives the work, the integration will only be addressed from a technology perspective. While the technology aspect is certainly key, integration needs to involve process reengineering, role clarification and organization design as well. I think if IT can recognize the complexities associated with driving integration beyond technical solutions, then that perception you described could go away. In addition, if IT approaches the integration the same way a provider would (think SLAs and other measurement criteria), then the fear that quality goes down could be mitigated. Nice job here helping us focus on the need to integrate across the functions. An aspect that may be the next article is how do you keep this integration work as simple (not necessarily easy to do) and focused so that neither the buyer nor the provider gets bogged down in all the details of making the new service providers technology and processes work. At times, we over engine the simplest areas because it is what or how we know to do this. We all need to rethink the most critical work that must be done through the life cycle of the engagement. What are your thoughts? I completely agree. The key is focusing on the integration activities that really matter like ensuring there is clean, consistent data; building an ongoing process for managing interfaces between downstream applications; ensuring the hand-offs on escalated issues between the provider and Retained HR function are nailed down, etc. I find that the best way to get the focus on the right activities is to challenge which ones impact the critical processes (i.e., Payroll accuracy) and / or the employee experience. Those are the ones where the integration focus should be placed. If that delineation exercise is done upfront, then it becomes easier to determine what is a priority and what isn't (and communicate it to the key stakeholders). When that is not done, then every issue becomes a fire drill and, often times, the critical integration issues get lost in the shuffle. I couldn't agree more about the level of accountability that the buyer has on making the HRO solution work. It can't just be about the provider and, often times, we do find that the buyers are so focused on the provider-side of the solution, that they don't have the time required to figure out how the Retained HR organization can become more strategic or perform more value-added activities. What we're trying to advise clients on now is that before jumping into the business case or RFP development, they need to create a true HRO strategy (different from an HR strategy) that clearly defines the value and expectations from an HRO solution. When that is defined upfront, we find that the HR organization allocates the time and resources to maximize the solution. You have mirror imaged most of my thoughts on HR Outsourcing ideas however I wouldnt have been so good at putting them across in the manner you have done it. I would further like to know your estimation on how long would it take to achieve transformation across all the HR processes (Benefits, Recruitment, WFA, Payroll etc). Also your views on whether the service providers should first take a lift and shift transition approach in phase 1 and then take up transformation in phase 2 or should they be taking up transformation directly in phase1. What is the best approach and why? ?